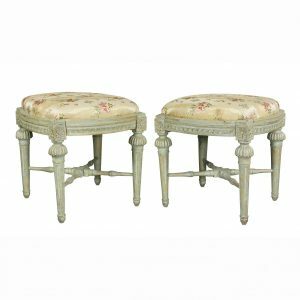 With triple shield back with pierced carved and gilded decoration, with arms, loose drop in seat needing new upholstery raised on square tapered molded legs with stretchers. Very sturdy with nice proportions. In good condition with wear consistent with age and use.